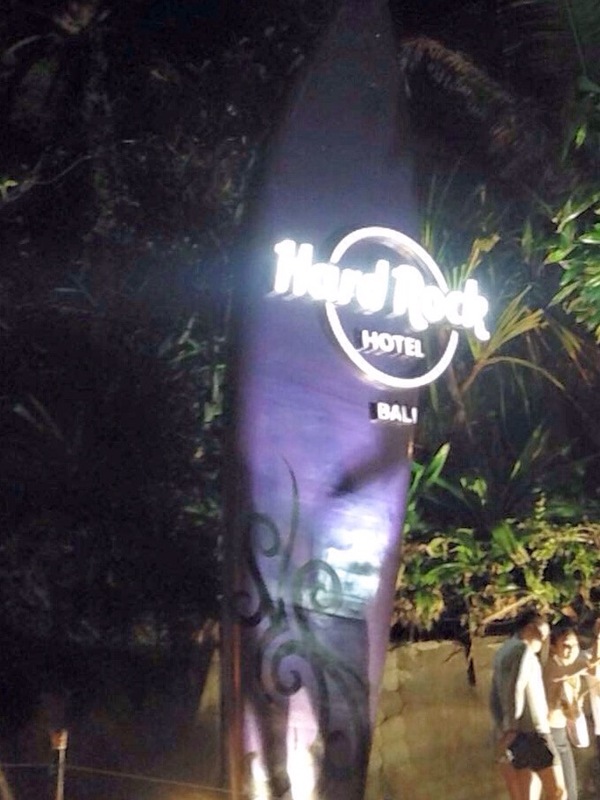 I’ve heard a lot about Bali from the surf articles that I’ve read, as well as the Eat,Pray,Love movie. 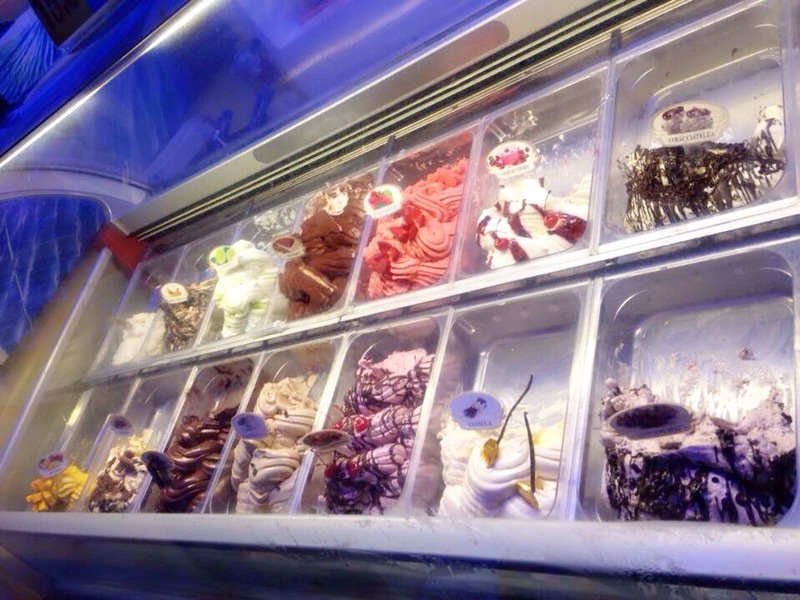 I was hesistant because it’s not cheap to go there. 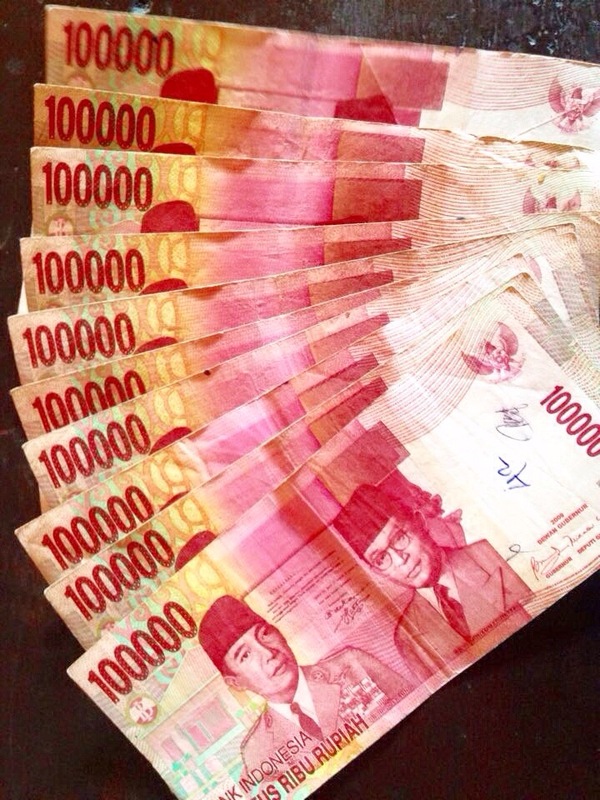 The airfare going to Bali is very expensive, usual price is around Php12,000 one way per person. 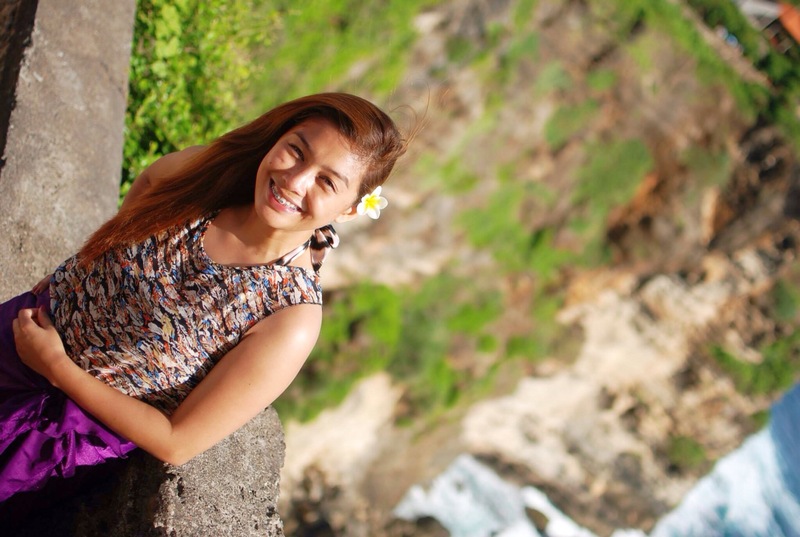 I saw a promo fare at Cebu Pacific for Php9,000 roundtrip per person, and that was already a good deal. 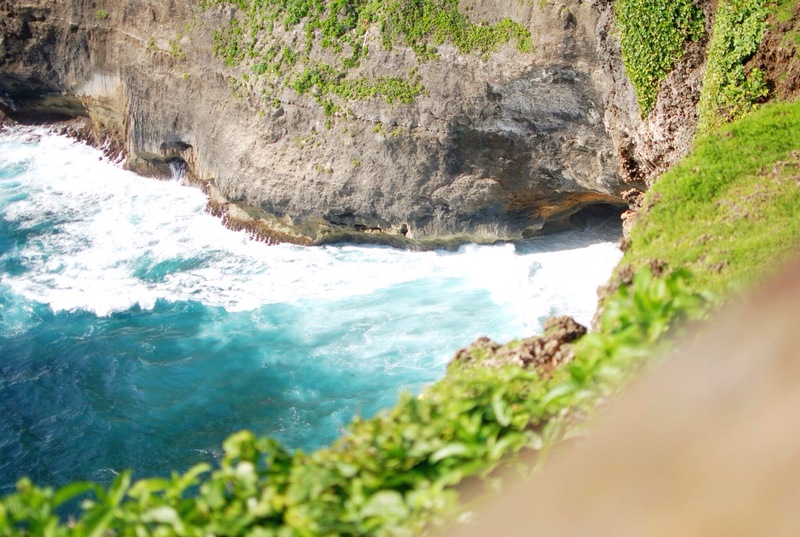 I went there last last January 27-31, 2015. 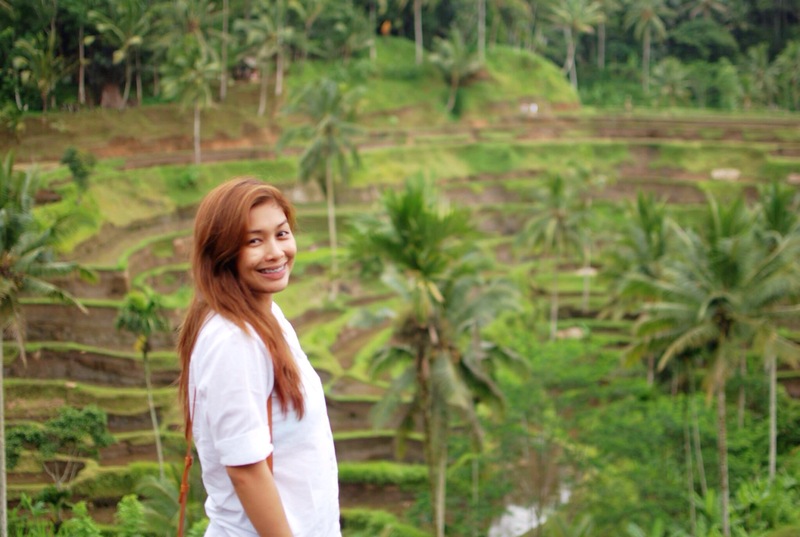 The travel time from Manila to Bali was 3 hours and 55 minutes. 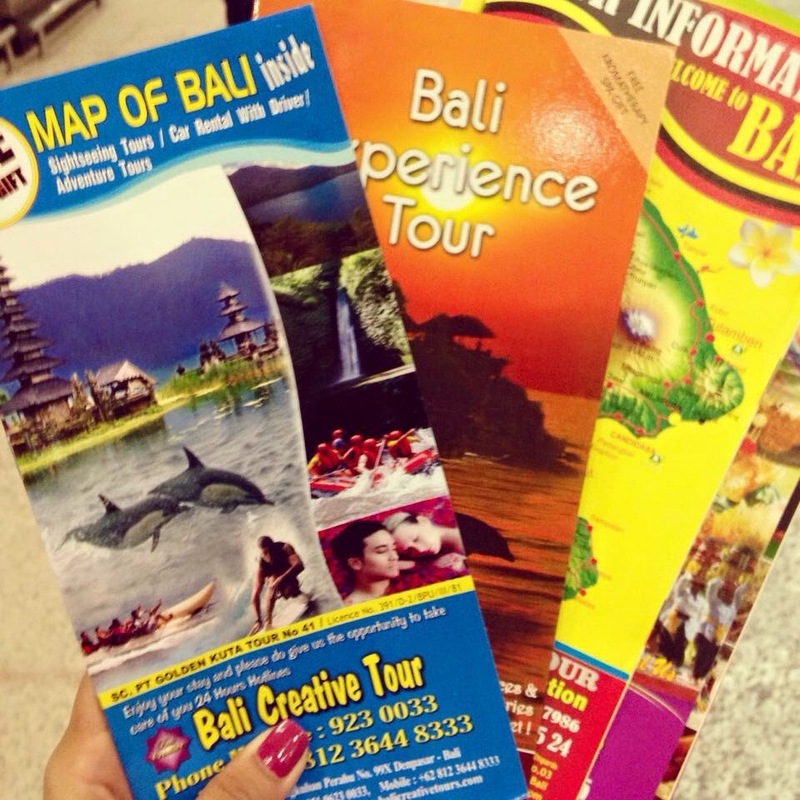 I got a handful of brochures from the airport and compared them, Bali Experience Tour stood out from the rest. And I made the right choice by selecting them! 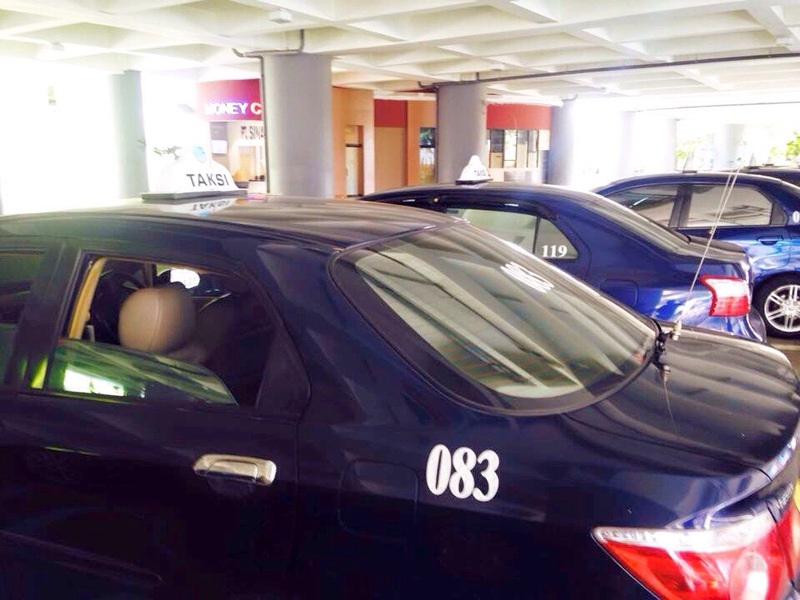 Took a cab going to the hotel from the airport. 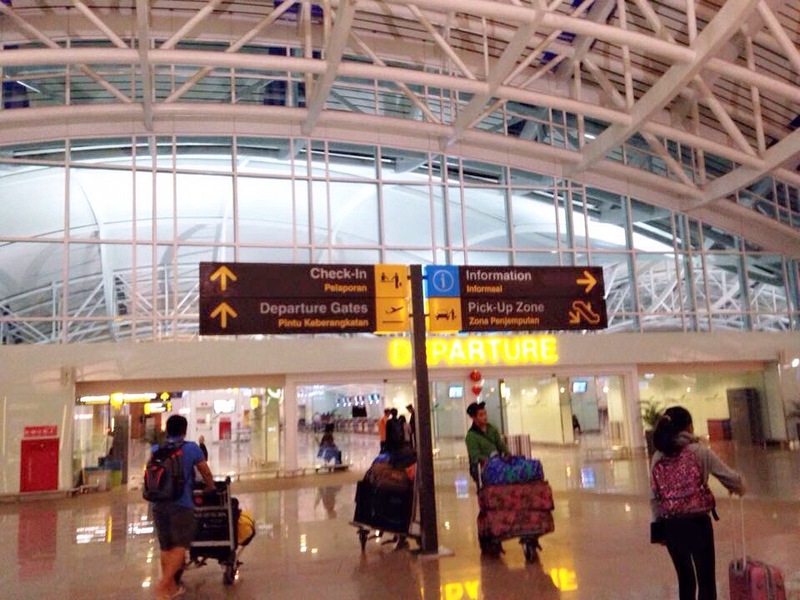 It was 30 minutes travel time from Denpasar Airport to Kuta. 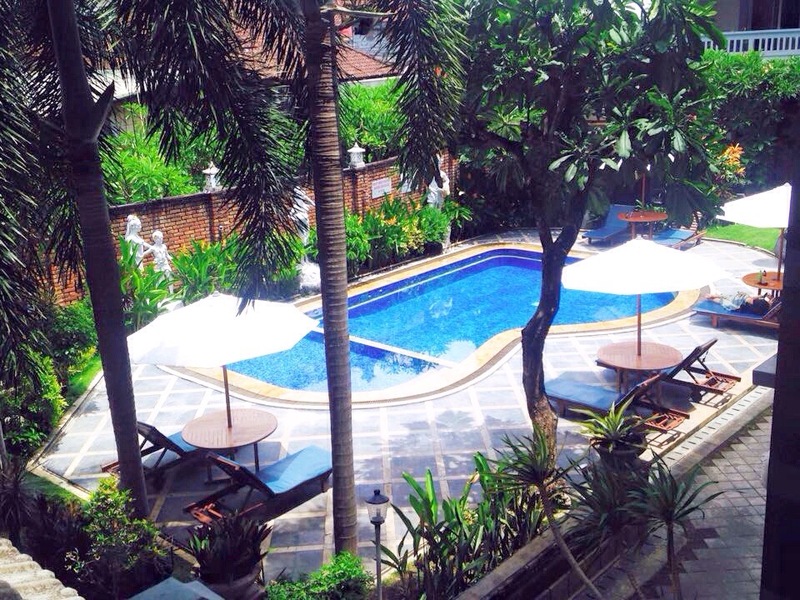 I booked a hotel near Kuta Beach because I know I’ll be spending a lot of time surfing and basking under the sun. 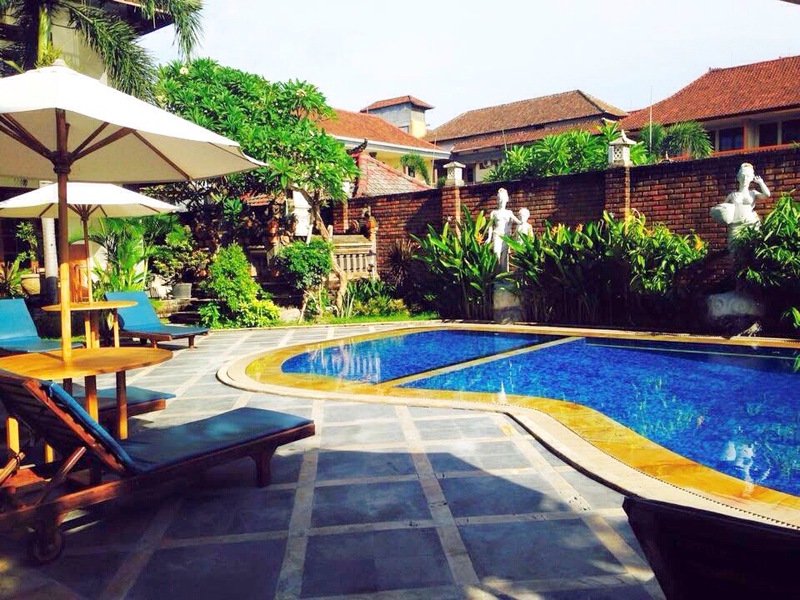 The hotel was just 2-3 minutes walk from the beach and all the other establishments in Kuta, hotel costs around Php860 per day. 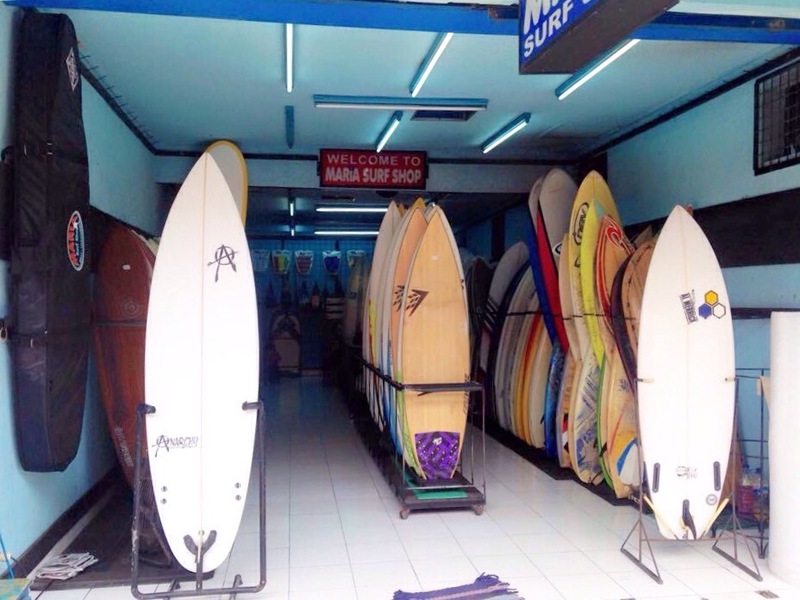 There were a lot of surf shops everywhere. 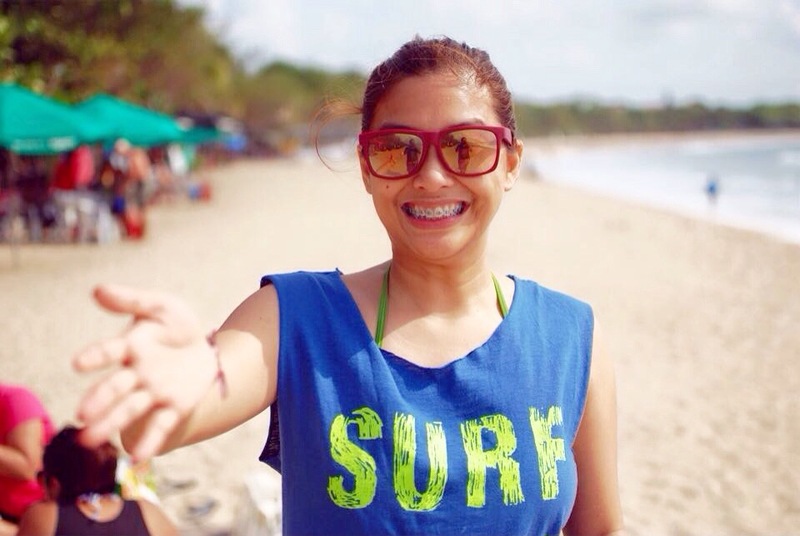 Waves were too high for a forever beginner like me so I didn’t try. 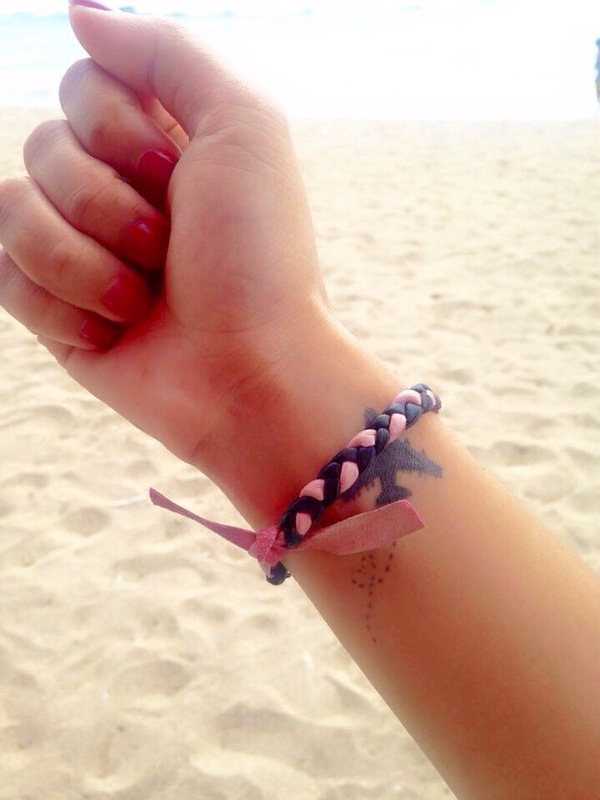 While chilling in the beach, a lady offered me a foot massage. 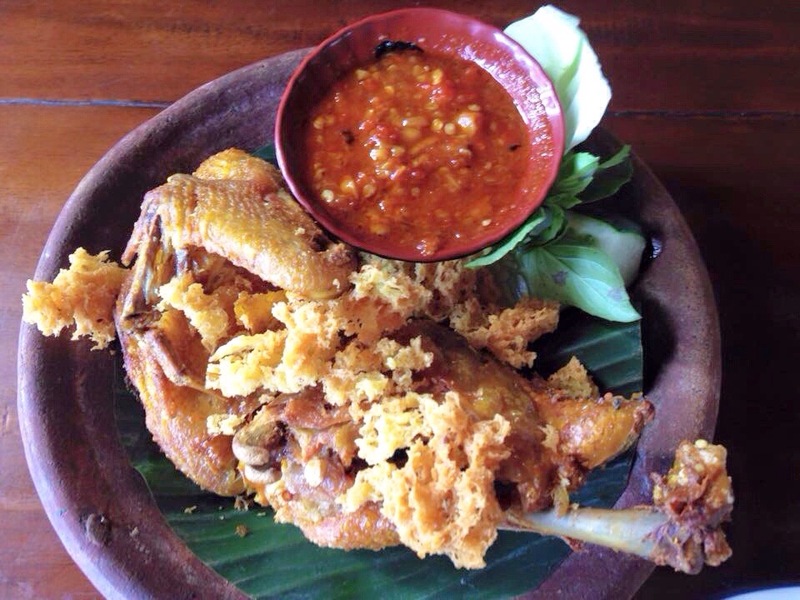 I had dinner along Kuta road. 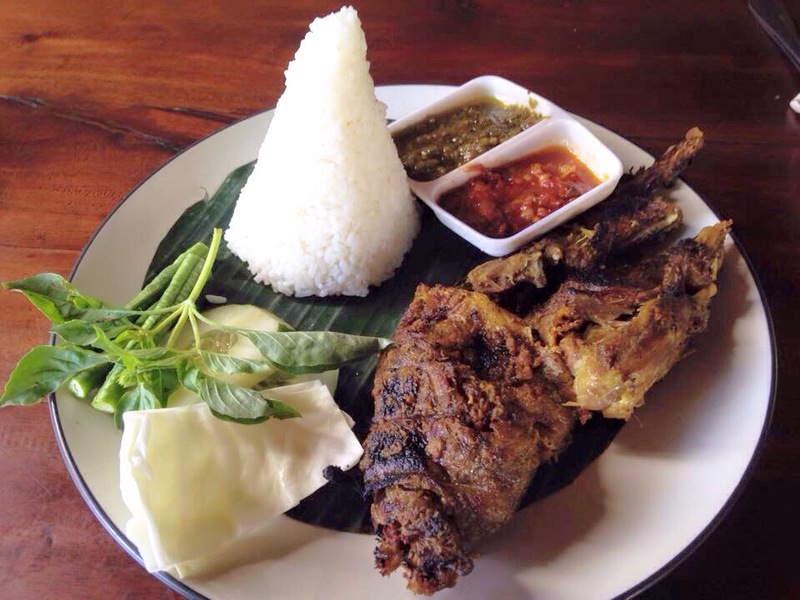 I’ve noticed that Balinese cuisine is usually spicy. 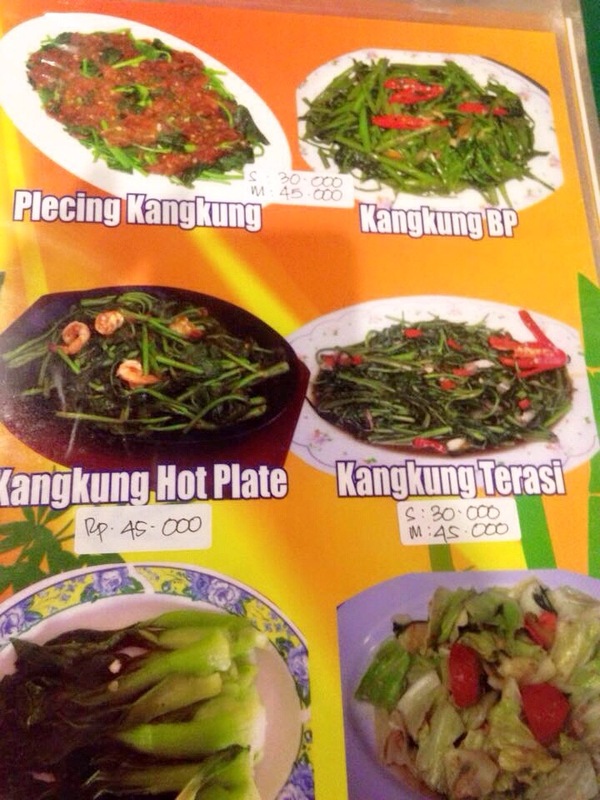 In this menu, Kangkung is somewhat same with our Kangkong in the Philippines. 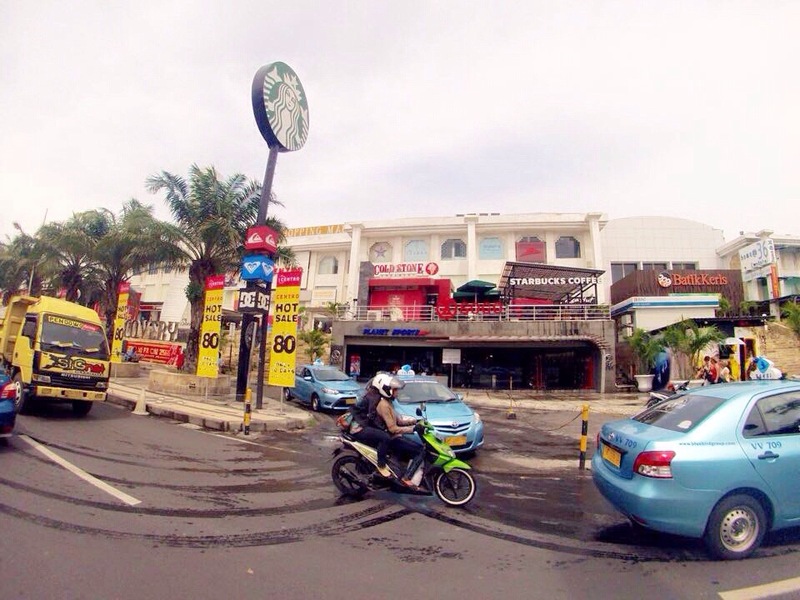 After dinner, I walked around Kuta. 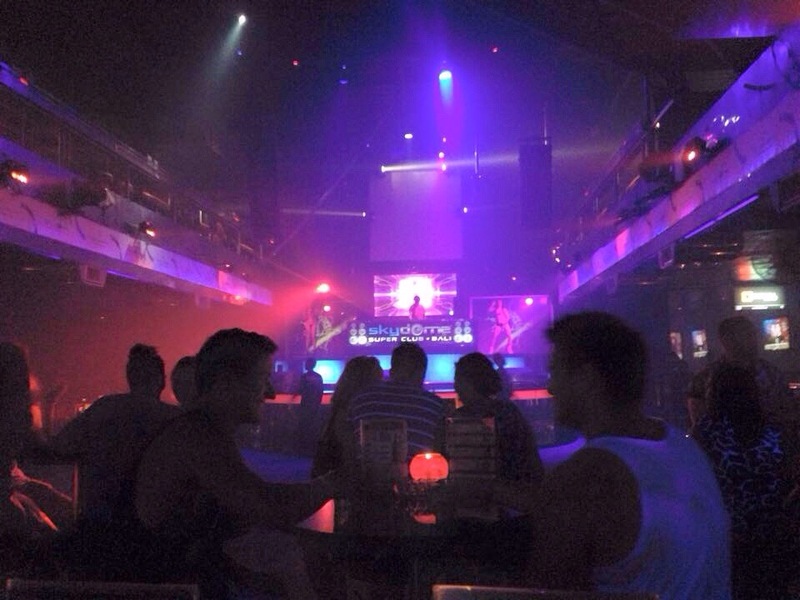 There were a lot of night clubs there, mostly Aussies and British hang out there. 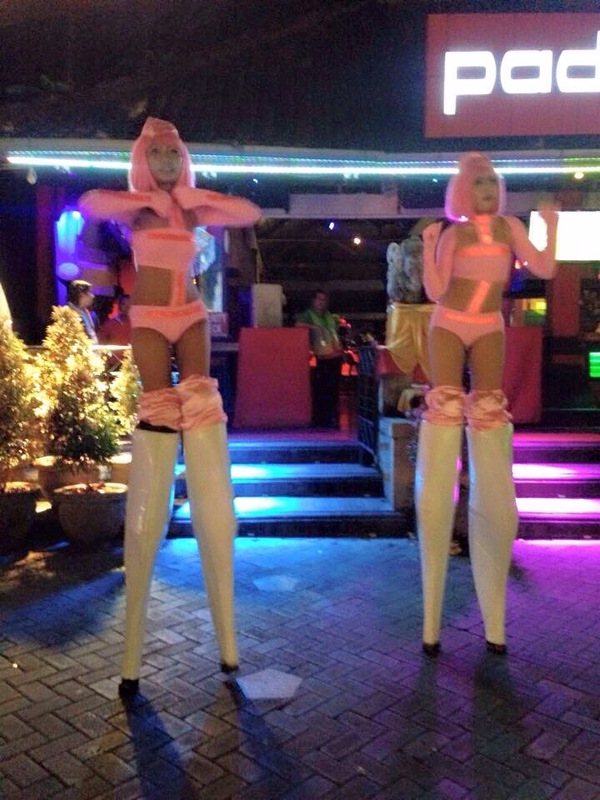 First stop was Barong and Kris Dance. 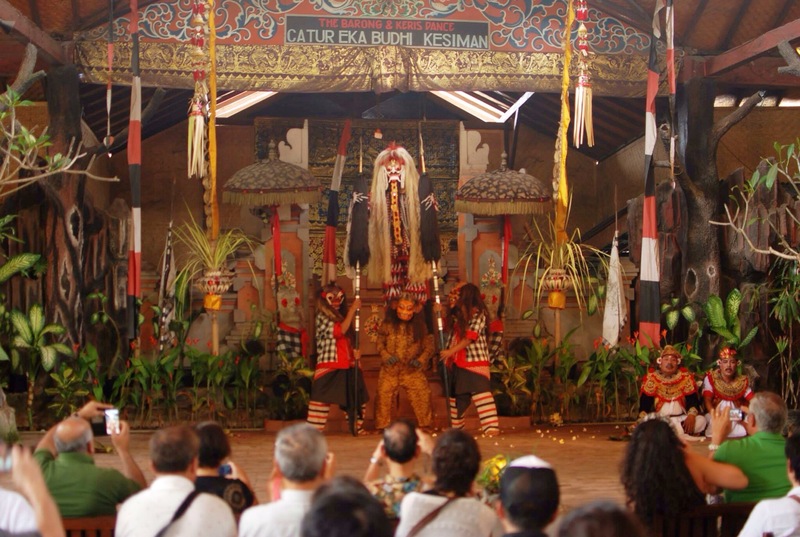 It was a play where it showcased Barong – a lion like creature in the mythology in Bali. He is the king of spirits and the leader of the hosts of good. 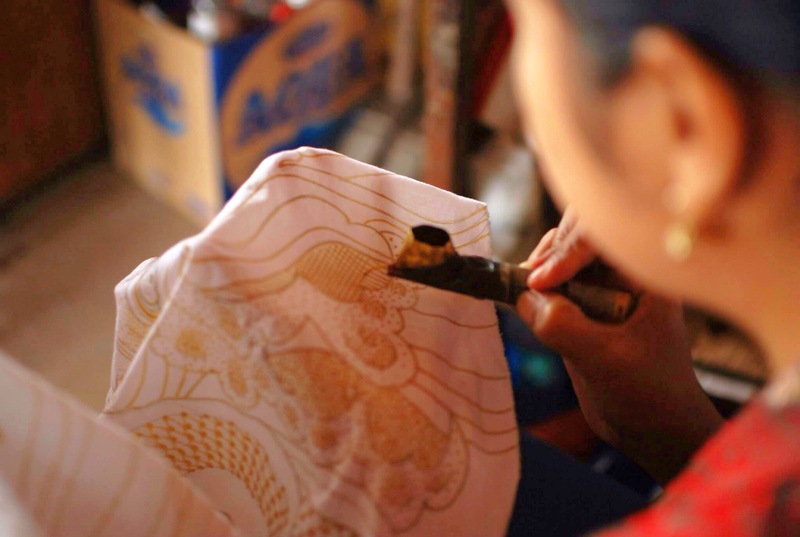 Then we went to the factory of Hand painted and Batik Fabric. 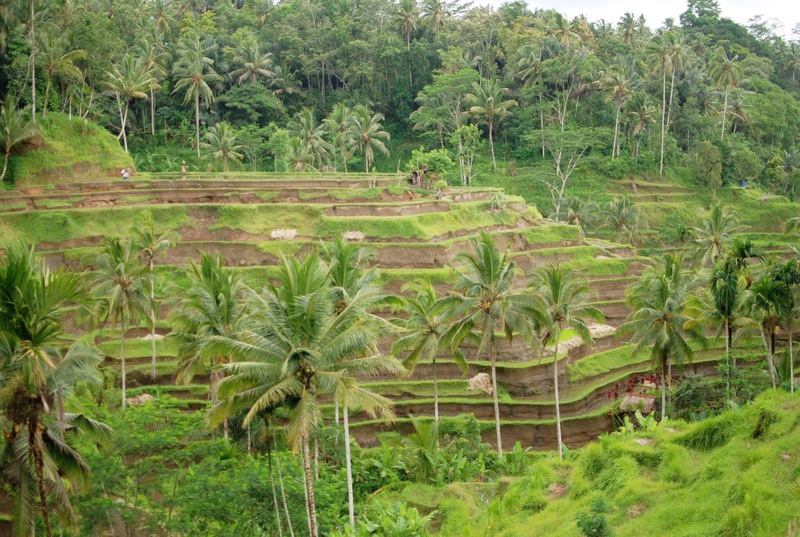 Here’s the beautiful Tegallalang Rice Terraces. 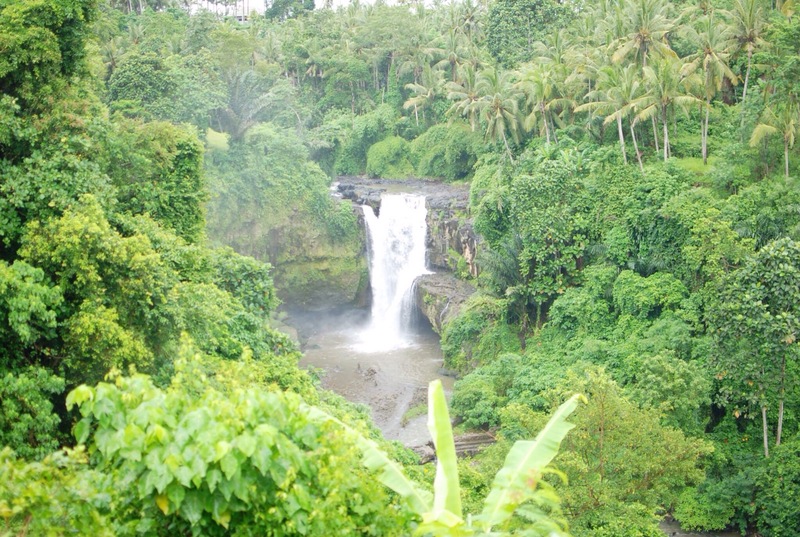 We also dropped by the Waterfalls at Tegenungan Village. 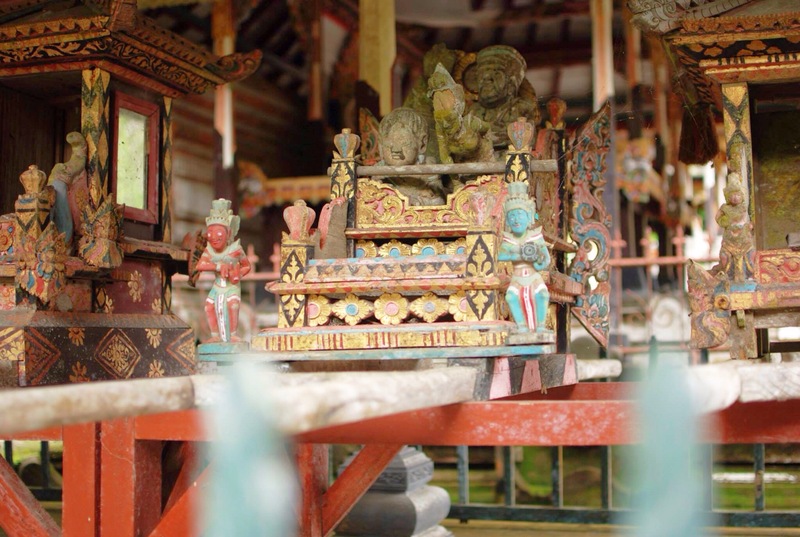 And then we went to a house of a family of artists who does Balinese Traditional Painting. 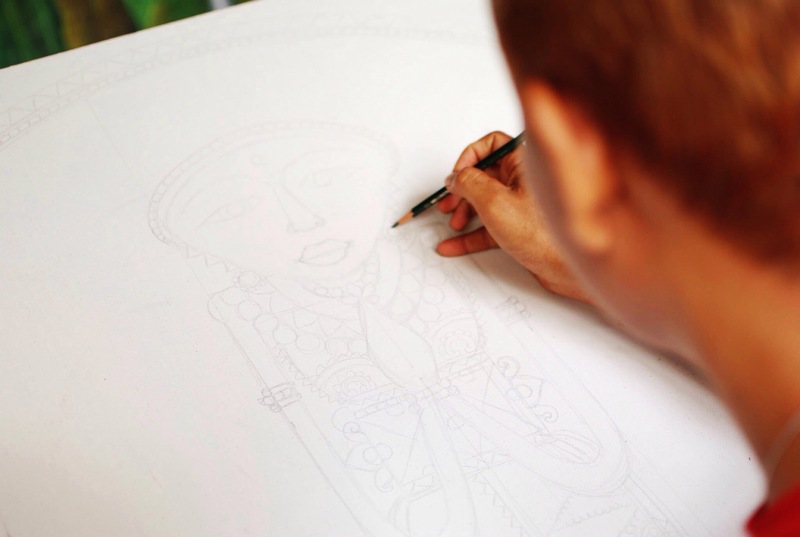 You can buy some paintings if you want, they have different sizes and prices. I even saw one guy sketching while we were there. 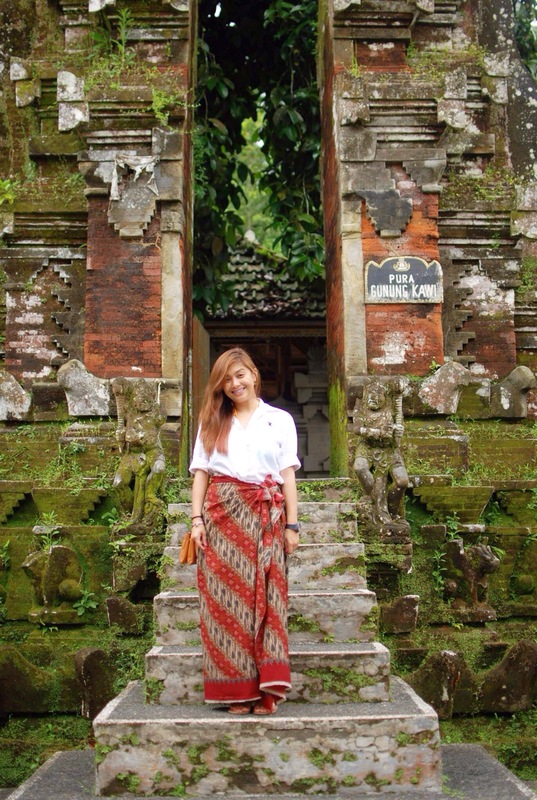 Here at Holy Spring Temple, we were asked to wear a sarong or malong to keep the temple holy. 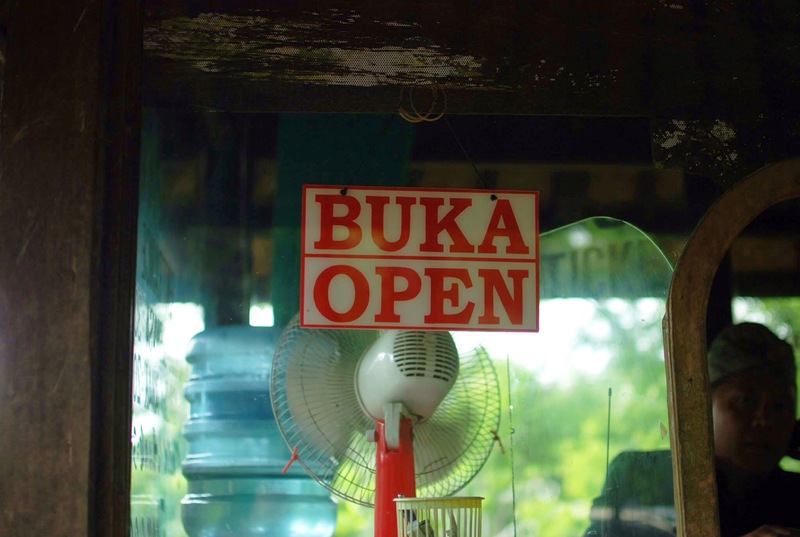 At the entrance, you can see that Open means Buka to them too. 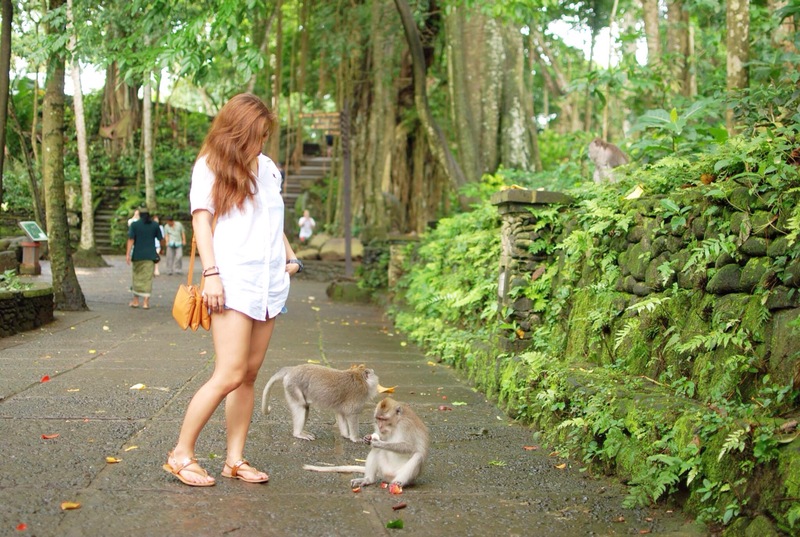 There were monkeys everywhere. 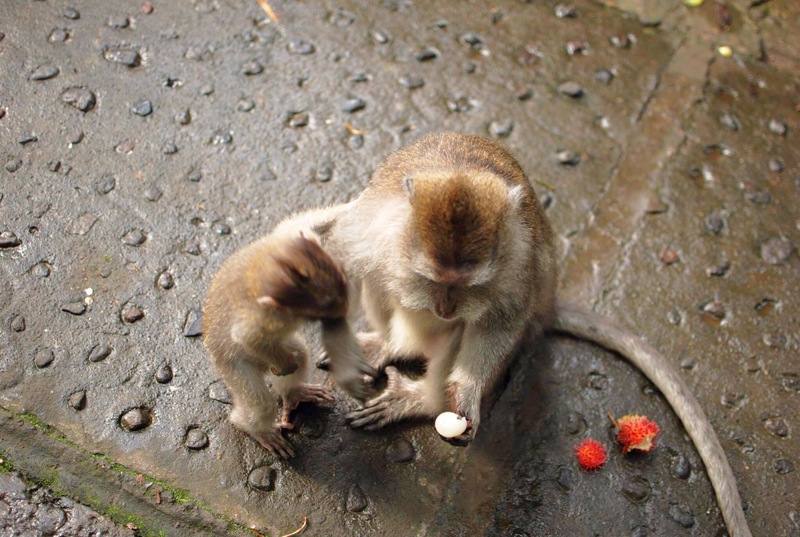 Note that the big ones bite if you don’t behave well or if you start running. Just walk slowly and give food if you want them to go near you. 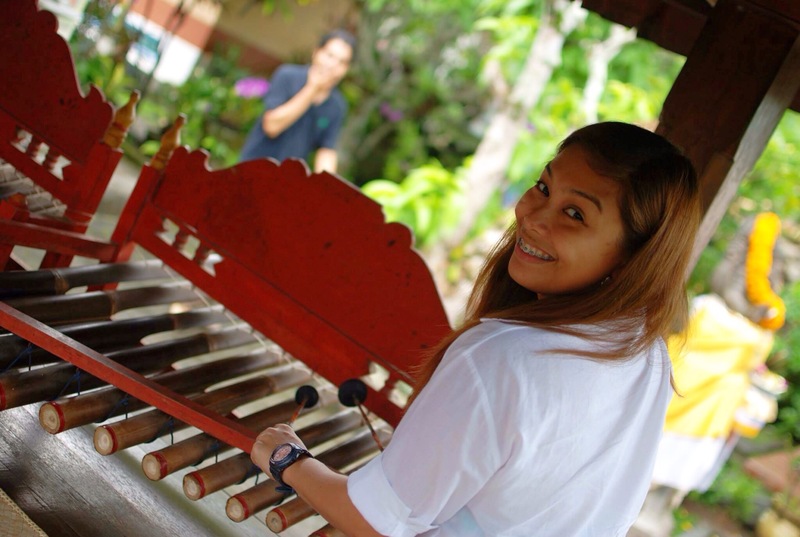 Then we went to Kopi Luwak Coffee Farm. 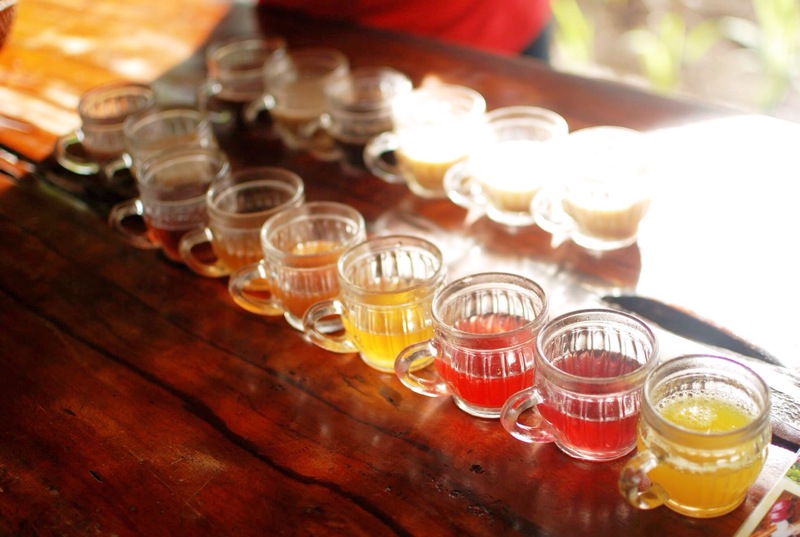 We had free taste of Bali’s different coffee and tea. 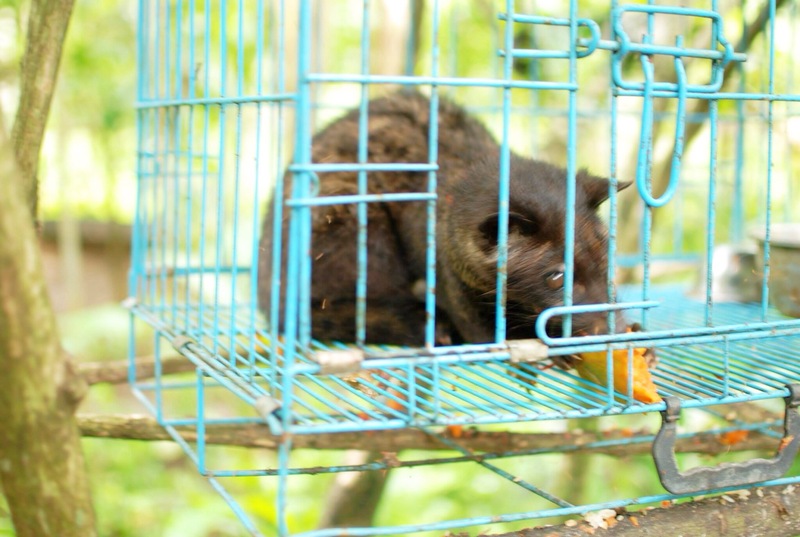 This is Civet cat. Would you believe that it’s poop is the most expensive coffee in the world? Yes, that’s true. The reason for it’s high price is the unusual method of producing a coffee. It has been produced from the coffee beans which have been digested by this cat. 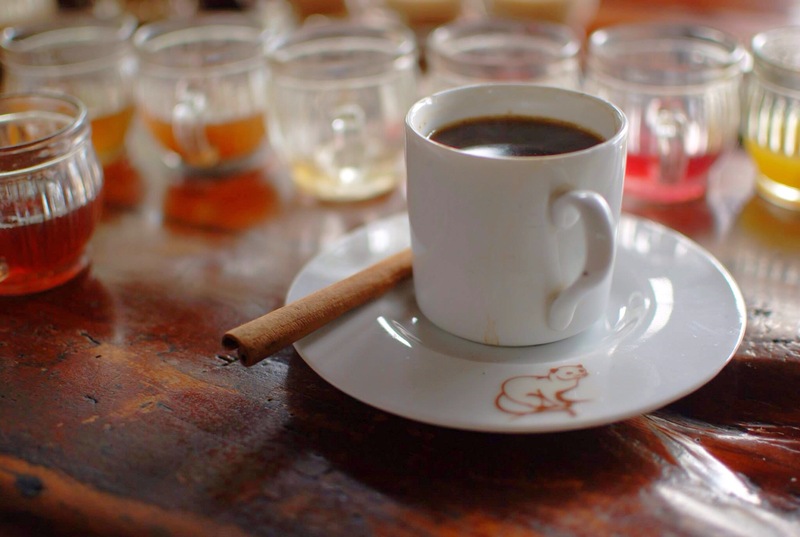 Kopi Luwak costs $100 per cup. 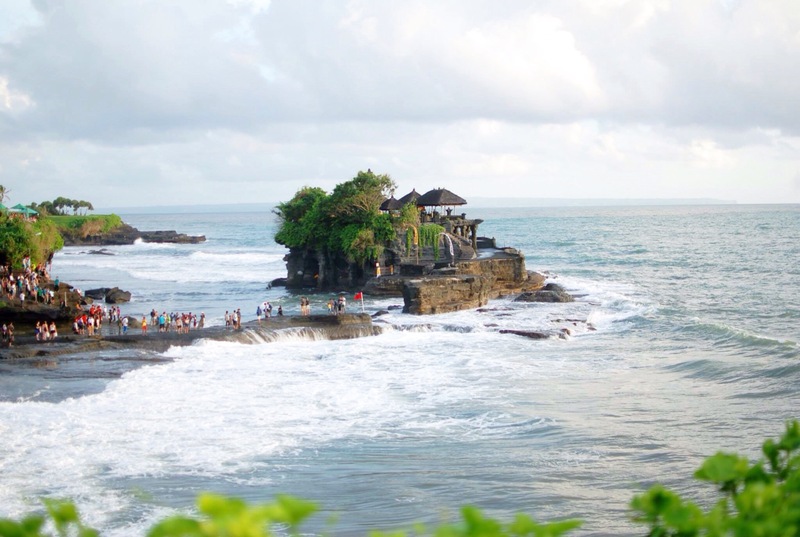 Last stop was dinner at Tanah Lot Temple. 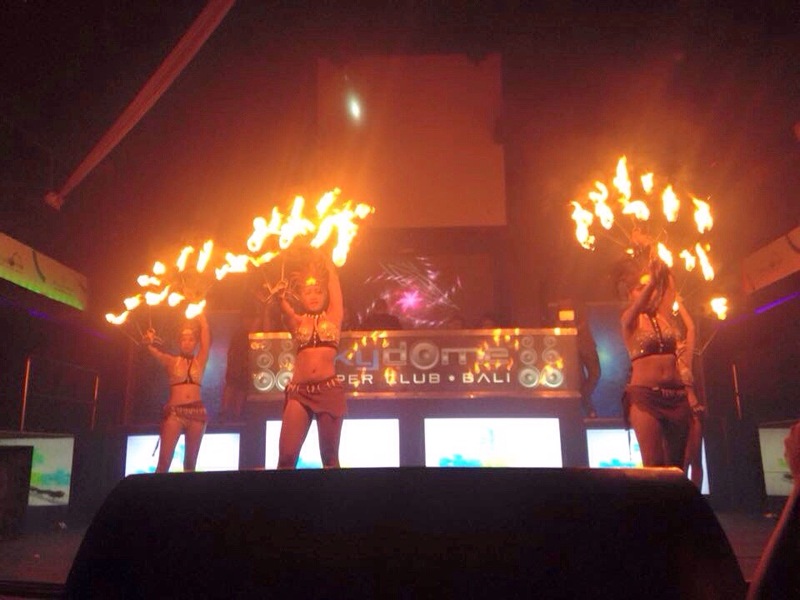 These are Holy Snakes. 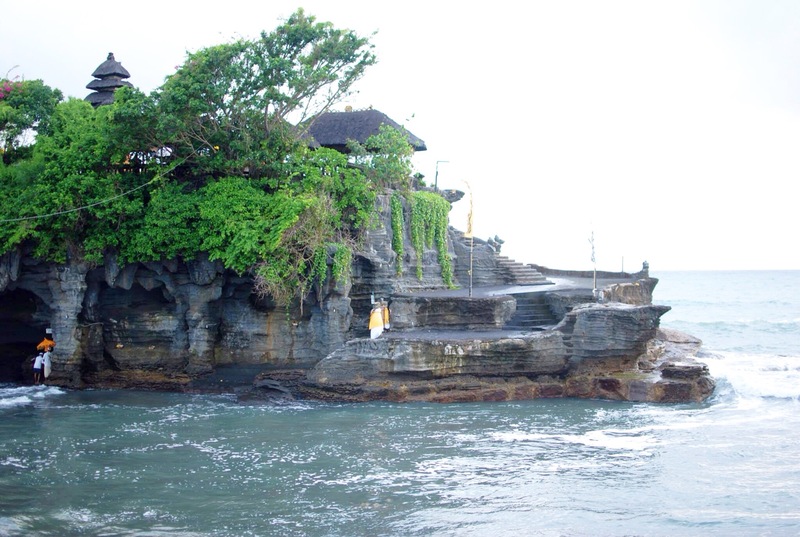 A Holy Snake is one legend in Tanah Lot Temple. 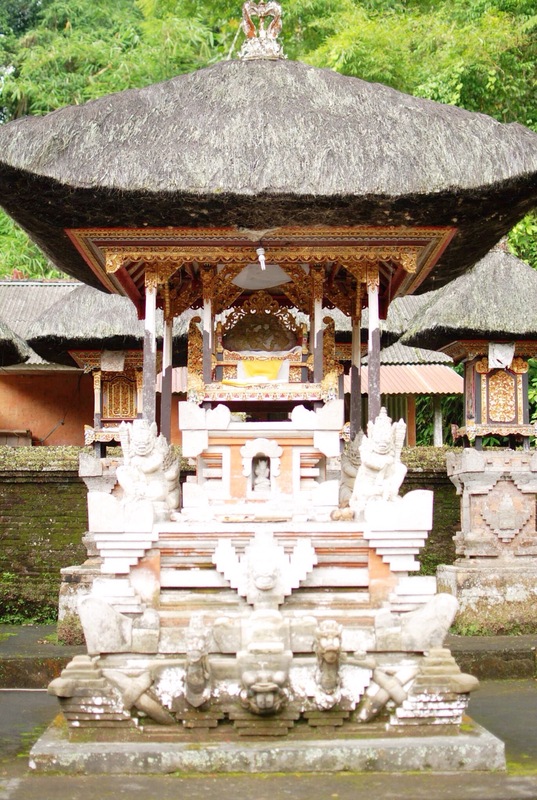 People there believed that the snakes with white and black relief were to guard the Temple from the evil or bad things. You have to give some money in order to touch the snakes. 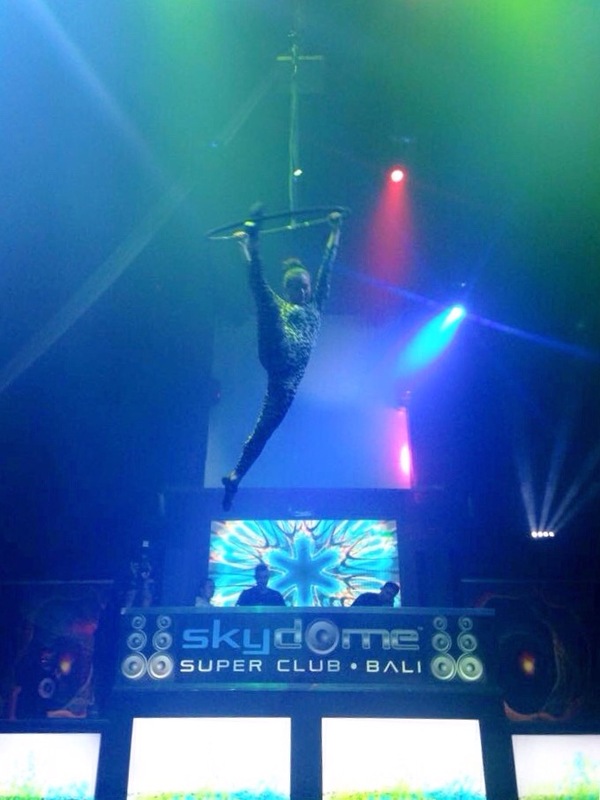 Day 3 – Adventure Time! I also booked through BET. 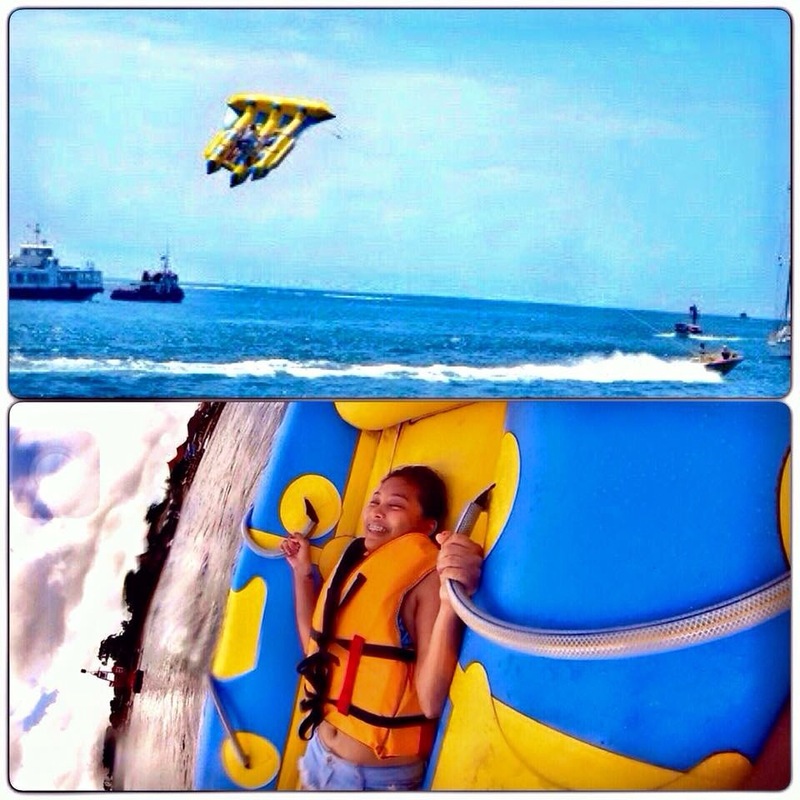 This time I tried the Fly Fish, Banana Boat and Parasailing at Nusa Dua Beach. 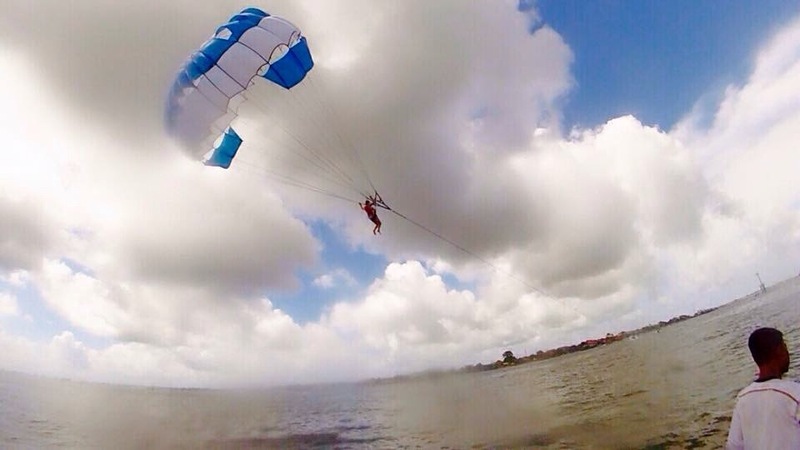 I am afraid of heights and I swear that this will be my first and last parasailing ever! I think my heart stopped for 5 minutes. Haha! Lunch time. Everything has chili sauce. 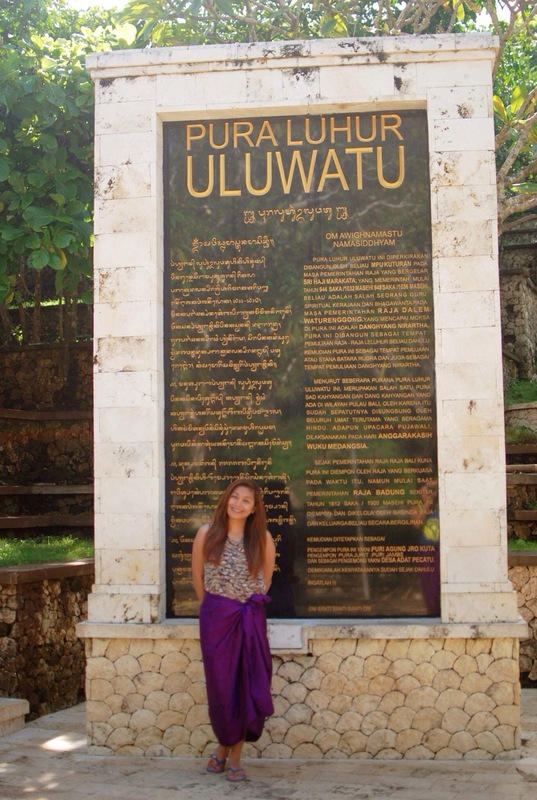 Same with Holy Spring Temple, you also have to wear sarong or malong at Uluwatu Temple. Early Dinner at Jimbaran Beach with a beach view. 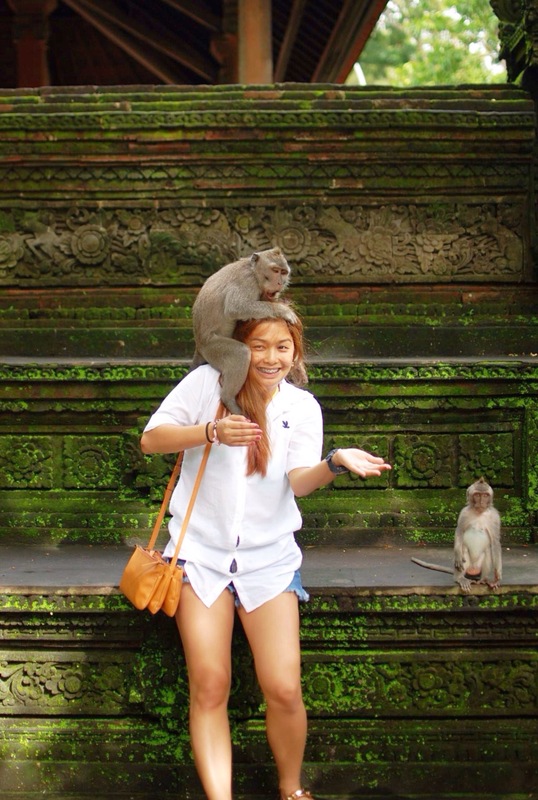 Day 4 – Rented a scooter and went to Padang Padang Beach from Kuta. 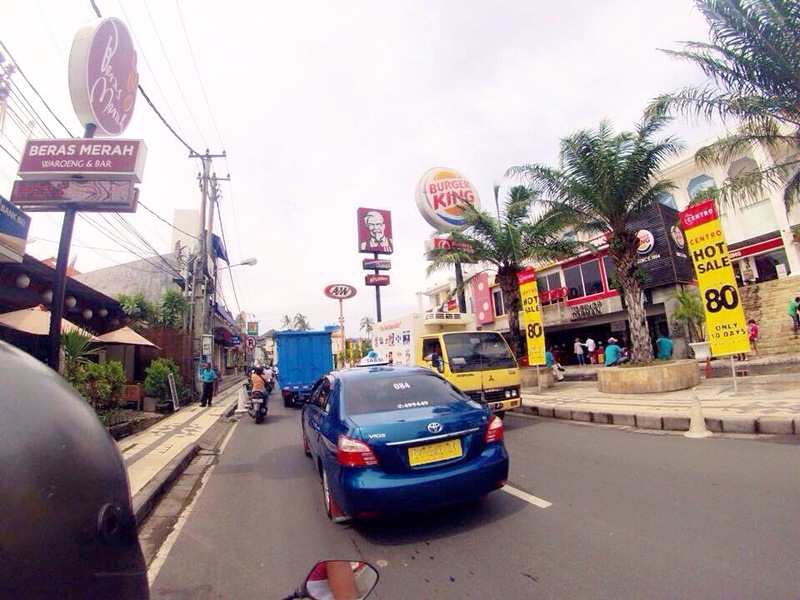 You don’t need a local license to drive around Bali. You just have to give a valid ID in order to rent a scooter. You will also be the one to fill up the gas tank. 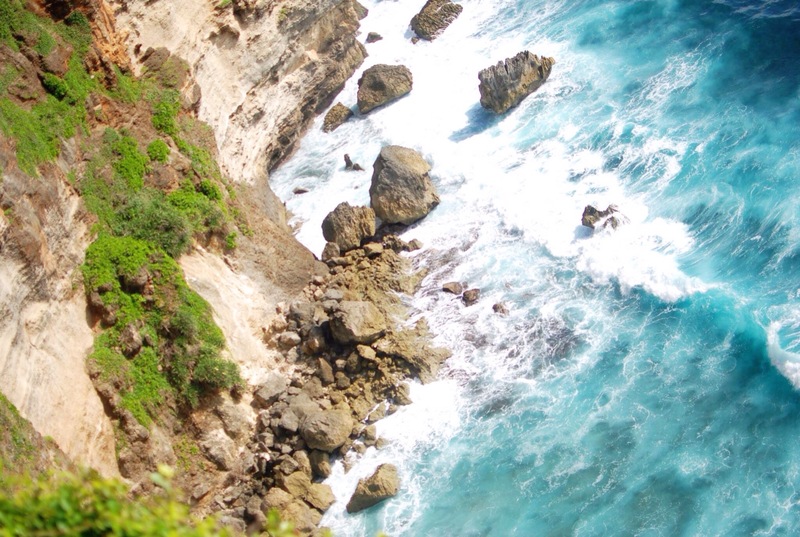 Kuta to Padang Padang Beach was 45 minutes drive. 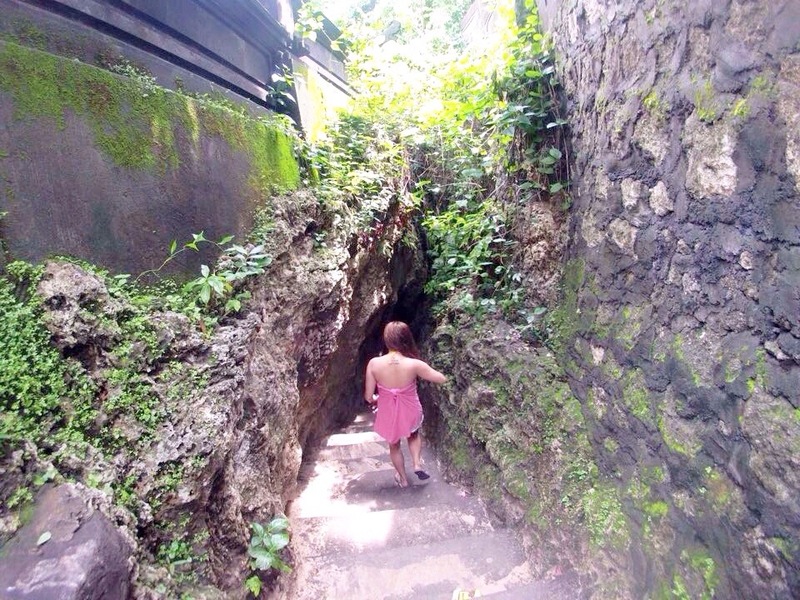 On the way to Padang Padang Beach, there’s a secret passage. 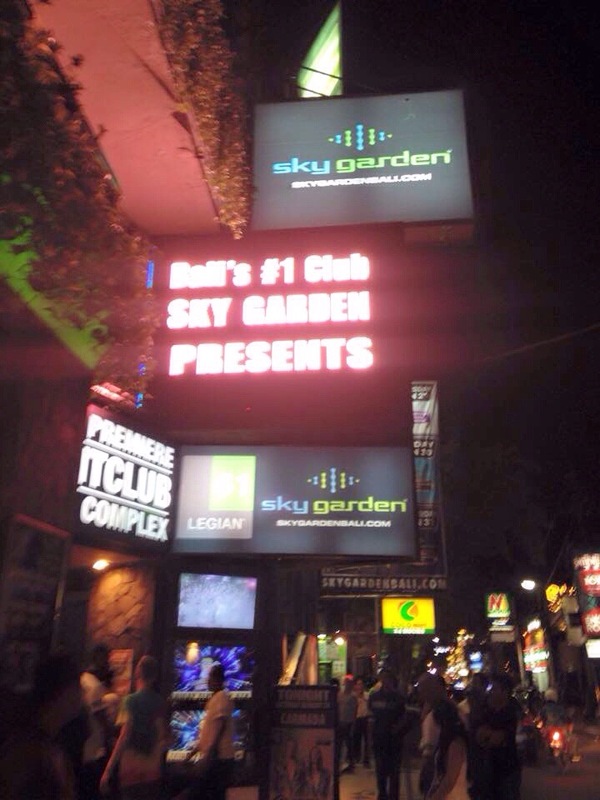 Sky Garden is the no.1 club in Bali.